If you want to understand Vancouver’s neighbourhoods, trick-or-treating is a good place to start. ‘Douglas Park was a postcard of Halloween: single-family houses where everyone participates and everyone knows each other.’ Photo by Christopher Cheung. A trick-or-treater’s journey on Halloween reveals a lot about a neighbourhood the other 364 days of the year. Is it easy to get around on foot? Is car traffic a scary thing? Is there a sense of community? Are there “eyes on the street” from neighbours in case something happens? Do parents trust their own neighbourhoods enough to let their children explore it? Or would parents rather their children play elsewhere? Questions like these make Halloween a favourite holiday of city planners and designers. Children get their annual bounty of sweets, and urbanists get to observe how little ghouls and costumed heroes — and parents — navigate neighbourhoods. Two well-known Vancouver data crunchers — Andy Yan of Simon Fraser University and Jens von Bergmann of CensusMapper.ca — have created popular trick-or-treating maps. I grew up in Vancouver, but it’s been a long time since I went trick-or-treating, and I’m curious about what Halloween night has to tell us about the state of neighbourhoods in our upscaling city. Between 2000 and 2015, the number of children under 15 in Vancouver dropped by about 1,800, according to the census. Public school enrolment has also been falling. In a 2016 Walrus piece, a 41-year-old man who grew up on the west side neighbourhood of Dunbar said it has gone from being a family-oriented area to empty streets out of The Andromeda Strain “where everyone has died from a mystery virus.” Housing unaffordability, especially for young families, is blamed for all this. It’s true that Vancouver has neighbourhoods that feel ghastly empty, but the latest census tells us that we still have over 70,500 kids. That’s a lot of trick-or-treating to investigate. Since a lone 26-year-old with a notepad and camera might attract the wrong kind of attention on Halloween night, I asked my 12-year-old cousin to accompany me, with the promise of candy. 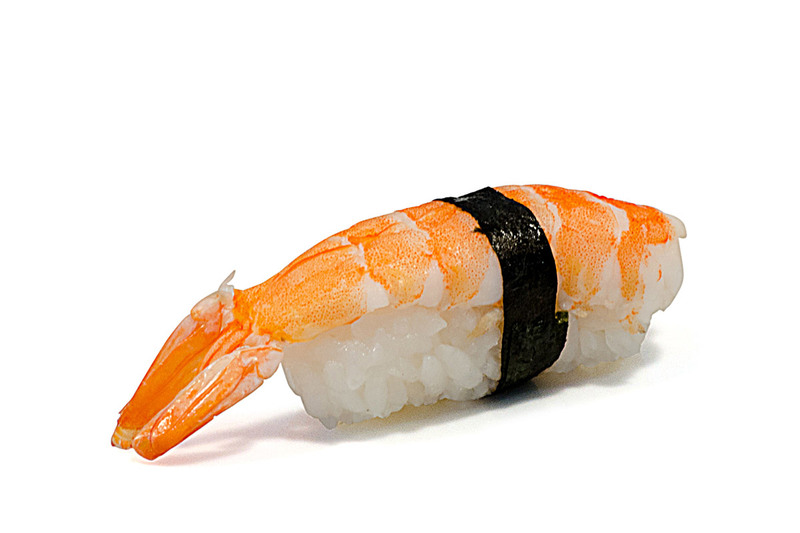 Thankfully, she dug out her sushi costume — a piece of ebi nigiri — and obliged. So on Halloween night, I picked three distinct Vancouver areas for us to visit: upper-crust Shaughnessy; the postcard traditional single-family blocks by Douglas Park; and dense and diverse Collingwood Village. Shaughnessy was intended to be a neighbourhood for the rich since it was created by the Canadian Pacific Railway in 1907. Shaughnessy on Halloween. ‘It’s scary even when it’s not Halloween,’ said my sushi cousin. Photo by Christopher Cheung. My sushi cousin and I visited the crème de la crème known as First Shaughnessy, the original properties developed by the CPR before it expanded the neighbourhood to cash in on its popularity. It turned out we were wrong. Shaughnessy was a terrible place to trick-or-treat, one that didn’t need decorative skeletons to scare passersby. The houses that weren’t lit darkened the block; the houses that were lit showed no sign of life and gave off a terrible feeling of void. Houses were big, garages were big, iron fences were tall. Even if people were handing out candy, it would have been a chore to walk from house to house as Shaughnessy properties are large, one-fifth to one-and-a-half acres. We rejoiced when we spotted a house with lights and pumpkins. We walked a long path to reach the massive porch and ring a fancy doorbell that spun and glowed blue and sang Westminster Quarters. Nobody came to the door. Was this a vacant house dressed by a property manager to look lived in?’ Photo by Christopher Cheung. The house next to it also had lights and pumpkins, so we trekked (yes, trekked) over to give it a try. Again, nobody came to the door, but as we were waiting I saw that the pumpkins looked a little off and I gave them a tap. They were made of plastic. Was this a vacant house dressed by a property manager to look lived in? “This is a scary place to get candy,” I said. “It’s scary even when it’s not Halloween,” said my sushi cousin. We cheated and ended up driving through 11 blocks of First Shaughnessy. Only one house gave us candy, and we had to wait a long time at the door for someone to emerge. We found better luck at Second Shaughnessy. Almost all the residents there were seniors, and they were very pleased to see us. Judging by the walls of family photos I could see when they opened the doors, it seemed like they had lived there for a long time. One notable exception was a small group of young Australians who were moving into the house as we arrived. They had a van in the driveway and boxes on the steps. A fellow standing outside smoking a cigarette rushed inside when he saw us. “A trick-or-treater!” he told his housemates. “I feel so bad,” he said, gesturing to the boxes as if he was embarrassed for not tidying up in time. We didn’t care; they had a generous bucket of candy ready and thanked us for coming. We spotted a few groups of adventurous children who also chose Shaughnessy. Douglas Park was a huge contrast from unwelcoming Shaughnessy. Hordes of costumed children of all ages crowded sidewalks, accompanied by costumed parents. One brave adult roamed the neighbourhood as Donald Trump. Those who stayed at home dressed up too; a pair of lobsters sat in front of their door sipping wine with one claw and handing out candy with the other. Houses with no candy had signs that apologized for not having candy. Residents of houses with challenging steps set up at the bottom of staircases to hand out candy. This was a postcard of Halloween: single-family houses where everyone participates and everyone knows each other. We heard a lot of people greeting one another by first name. But in the census tracts we visited, the average household income was $188,665 in one and $217,919 in another. This isn’t a neighbourhood every family can afford. We visited one more area, one that has twice as many visible minorities as Douglas Park, and the average household income is 59 per cent lower. Collingwood Village is the area around the Joyce-Collingwood SkyTrain station and is a wonderful mixed neighbourhood. It’s got everything: houses and shops, rental towers and condo towers, shops and services, parks, lots of buses and, of course, the SkyTrain. Douglas Park can’t say the same. While many families here were new to Canadian culture at some point, they still loved Halloween. And, my sushi cousin said, they were also more generous with the candy. We were especially curious whether Collingwood tower dwellers handed out candy in their lobbies like I’ve heard them do downtown. Unfortunately, this was not the case for the ones we visited, perhaps because many of the towers happened to have entrances on streets with little street traffic. There was else something here that I did not see in Shaughnessy or Douglas Park. Many of the houses we visited had for sale signs, enticing developers with bold letter promises of land assembly and redevelopment potential. The city says its new plan for the area isn’t just market condos and that it will help displaced residents relocate, but the local residents’ association is not optimistic. This property, home to beloved Filipino businesses, is for sale. Photo by Christopher Cheung. There were also unique joys. One neighbourhood house handed out hot chocolate, and some businesses gave out candy. My sushi cousin wandered into a Filipino restaurant and passed their counter with lumpia shanghai and barbecued pork skewers to trick-or-treat. To my disappointment, they gave out chocolate, not pork skewers. Urbanists have a “trick-or-treat test” which looks at how easy it is for children to go from door to door. Unlike car-oriented suburbia, most Vancouver neighbourhoods (though not Shaughnessy) have small lots and would do well on the test. But despite this, North American houses can be very unwelcoming. Fences and lawns tell you where the sidewalk ends and where someone’s private home begins. I love Halloween because it reverses this. Suddenly, private space is community space, and you’re welcome to come by and grab a treat and say hi. I love celebrating the Sikh holiday Vaisakhi in Vancouver for the same reason. Visit the Punjabi Market neighbourhood and you’re welcomed onto someone’s lawn to grab a plate of freshly fried pakoras. A house on 49th Avenue at this year’s Vaisaikhi. Photo by Christopher Cheung. Could it be like this every day? Where more space is shared, and more connections are made? Currently, the city is working on a densification plan for neighbourhoods of detached houses. We’ll have to wait and see how that works out. Until then, in our neighbourhoods of houses, I’ll be looking forward to Halloween and Vaisakhi, because it feels good to be invited in.